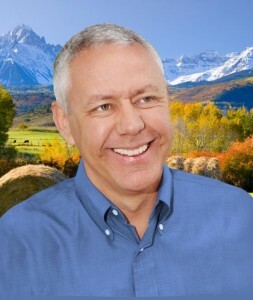 While Vegas has Denver pegged as a slight underdog going into Super Bowl week, that hasn’t dampened Congressman Ken Buck’s enthusiasm for the home team – nor should it. Buck, a former college football player himself, has a lot riding on the outcome of Sunday’s contest. In a press release issued today, Buck announced a wager with North Carolina Congressman Mark Meadows, a Republican from the westernmost district in North Carolina, which just a short drive from the Panthers’ home field in Charlotte. In an interesting side note, football fans will recognize the name of Meadows’ predecessor in office. This seat knows football. At stake for these two men is some really tasty food: if the Broncos win, Meadows will be serving up some awesome North Carolina BBQ. We don’t even want to think about the possibility of a Broncos loss, but if that comes to pass, Buck will be sending over some prime cuts of CD-4 beef. Our prediction: Broncos 24, Panthers 20; Peyton Manning goes out on top as Super Bowl MVP; Buck gets his BBQ.